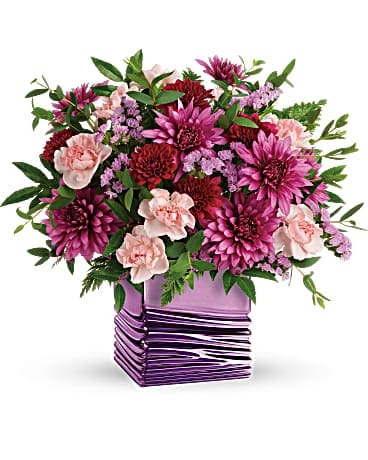 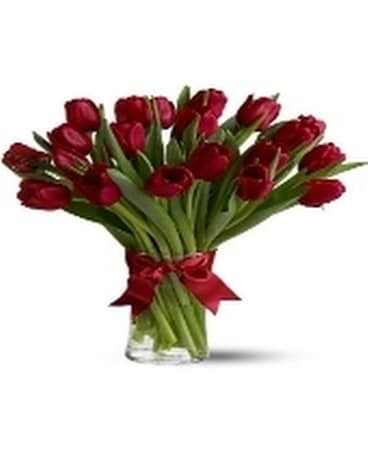 Vibrant and full of the renewed energy that only spring can bring, this gorgeous bouquet is ready to create an unforgettable moment for your recipient with it's bright and inviting colors! 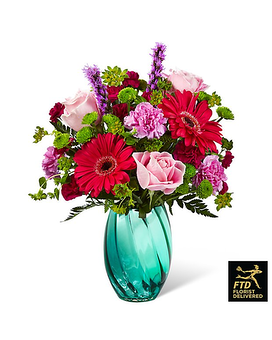 Hot pink gerbera daisies are bold and beautiful against a backdrop of pink roses, fuchsia carnations, green button poms, fuchsia mini carnations, purple liatris, and bupleurum, all arranged within an aqua blue swirling glass vase with a shining finish to perfectly compliment the bouquet's fiery blooms. 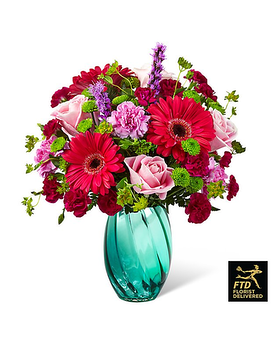 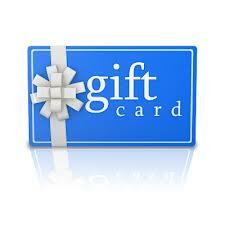 A wonderful Mother's Day, birthday, or thinking of you gift!